CIF number is what asked for when you approach your bank branch for some service. You need to write CIF number in the application provided. That’s why you here to know your CIF Number. 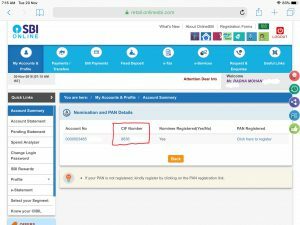 In this post, I will explain how to find SBI CIF number in different ways. You can use these sources to find CIF number of other banks too. Before we learn the methods of finding CIF number, let me tell you what CIF number is. CIF Number is an 11 digit unique number (The number of digits varies from bank to bank). It stands for Customer Information File. When you first approach your bank branch to open an account, you will be asked to fill an application and provide few KYC documents. The information that you provided in account opening form and the particulars of KYC documents (like Aadhar, PAN, Voter Card, etc..) are entered in the computer application and assign a number called CIF number to retrieve this information whenever required. Now I will explain how to find CIF number in State Bank of India. 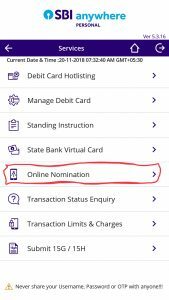 There are 4 ways to find CIF no of SBI. You can find it online and offline. You can find SBI CIF Number in passbook. Please refer to the screenshot given below to know. 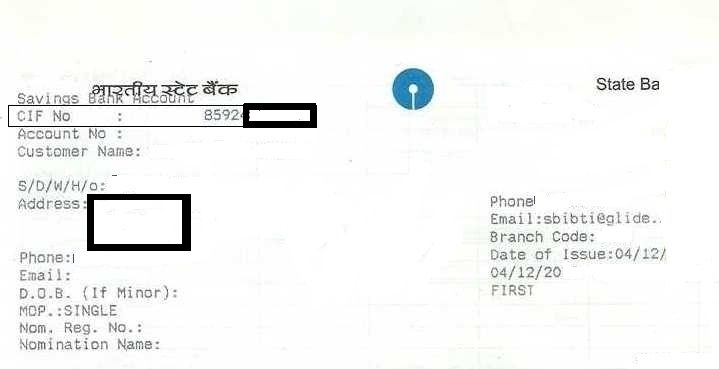 It is mentioned as CIF No in most of the SBI Passbooks. 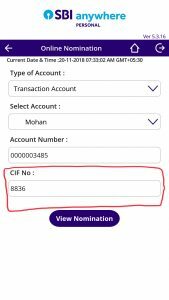 If you are looking to find other bank CIF number, you can find it in your passbook issued by the bank when you first open a bank account. You can also find it in SBI Cheque Book. It is usually printed on the first page of the chequebook though it is not mandatory to be mentioned. I will update a screenshot if I found one with CIF number. You may call upon customer care number of SBI and request for CIF No. after verification of your details. The toll-free numbers for SBI are 1800 11 2211, 1800 425 3800 and 080-26599990. You may contact bank official at branch level to get your CIF number if you don’t have the facilities mentioned above. They will provide CIF number. You need to have an internet banking facility to know CIF no. in online mode. First, go to https://www.onlinesbi.com and log in. The first page when you log in is ‘account summary’ page. On that page, you can find ‘View Nomination and PAN Details’ link. This link will take you to the following page which contains the account number and CIF number. You can find SBI Cif no. Through SBI Anywhere app if you have mobile banking or internet banking facility. 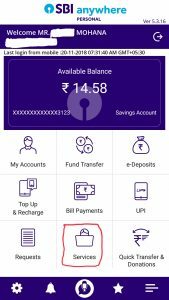 Download and install SBI Anywhere app and login with your credentials. The first page that you encounter is as follows. 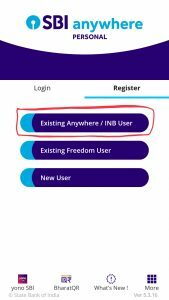 Choose ‘Existing Anywhere/ INB User’ If you have Internet Banking Facility or Mobile Banking access. If you don’t have both facilities, choose New User option and follow the onscreen options to get a temporary login id and password. You can register a new user if you have a debit card. Otherwise, it will not work. After successful login, the following page will be displayed. Now click on ‘Services’ option. It will take to the following screen which contains the ‘Online Nomination’ option. Go to that page. This will lead to our required following page which contains CIF Number. Take note of it.